Méabh McDonnell © 11 July 2013. Posted in the Magazine ( · Interviews · Women's Fiction ). With comparisons to The Lovely Bones and a voice so affecting that it stays with you long after the page, it’s no surprise that Susan Stairs, The Story of Before is sweeping readers off their feet. I sat down with the first time novelist to talk about fame, fiction and the writing life. Susan Stairs has had a busy month. Following the launch of her first novel, The Story of Before in June, Susan has been everywhere, talking about writing, tragedy and character’s motivation. When we meet, she’s just in from a BBC NI interview. For a writer who is used to solitude, to be thrust headfirst into the limelight isn’t exactly easy,“It is difficult to deal with the whole circus, interviews, and everything,” she says. 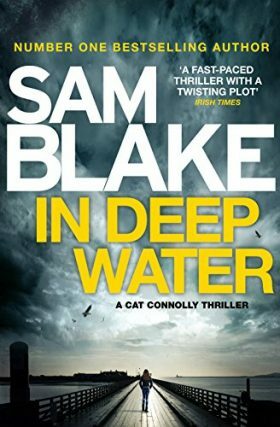 It’s a complete change of pace from the year and a half the Dublin native spent writing the actual novel. “I started writing it during my MA. I submitted the first 15,000 words as my dissertation – so that was about five chapters”. 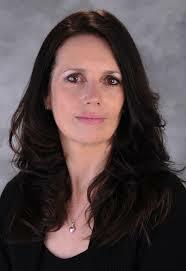 Susan completed her MA in creative writing in UCD in 2009 and from then worked towards finishing her book. The Story of Before is told by eleven year old Ruth, who has just moved from the City Centre to the suburbs of Dublin with her family. Ruth’s estate in the novel is so immersive it borders on claustrophobic, which is exactly what Susan was going for, “I didn’t want to have a lot of scenes happening anywhere else”. On New Years Eve Ruth predicts that a ‘bad thing’ will happen that year. She cannot know how this will affect her family and truly change her life forever. 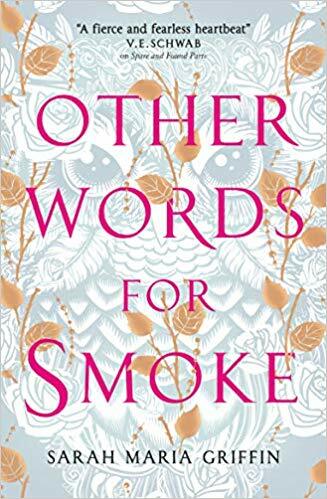 With comparisons to the direct and moving story of Susie Salmon in The Lovely Bones, you’d be forgiven for thinking that Susan has been plugging away in the novel game for years, rather than a relative first-timer. The story that befalls Ruth and her family was always one that she wanted to tell, “The ‘tragic event’ of the novel had been on my mind for a long time and I knew that was what I wanted to write about. It was inspired by an event that really did happen. I always knew that was going to be the reveal,” Susan says. And Susan’s mind didn’t let her rest, “I’m kind of my own worst enemy in that way – I’m terribly critical of what I’m doing. If something doesn’t sound right, even if it’s just one word I have to change it.” At the same time, when it came to editorial judgement Susan had to face ‘killing her darlings’ like every other writer too, “There were some parts that I had really laboured over and it was difficult to get rid of them but at the same time I could see why they needed to go”. And even though a year and a half doesn’t seem that long to write a novel, Susan told me, “It seemed like forever to me, there are times when I think back on the hours that I put into it.” But what came out at the end is something truly special. Whenever an author becomes so involved with a single character it becomes a part of their life, they eat, breathe and drink the world through their eyes, so it becomes very difficult to bring them the sort of hardship that in Ruth’s case, Susan knew was coming all along. “Absolutely, it was very difficult, to write the ‘bad thing’ I cried a lot when I was writing that part, definitely. The care and love that Susan has put into the novel shows, Ruth is the kind of girl who lives right up your street and that makes her story feel so much more powerful for readers, who are already clamouring for a sequel. “I’ve always said no” Susan smiles, “But sometimes I think that you could resurrect characters from it, and take them down their own paths”. And if it’s received anything like The Story of Before, Susan has nothing to worry about. “All the comments I’ve been getting have been great. The one phrase that people keep saying to me is ‘I couldn’t put it down’ and I’m absolutely chuffed to have people saying that to me, telling me that they can really identify with the setting and the time period”. And Susan is a living example of that happy fact. 1. What is the number one thing you look for in a book? “I suppose because when I read I like to fall down a hole and I don’t want to be able to see my way out of it. What never attracts me to a novel is something like ‘spanning two centuries and three generations’ and once I see that I know that’s not for me”. 2. Which authors do you admire? “I usually say that it is more the novel than the novelist. It usually takes me ages to find a book to spark my interest. Again and again I go back to a few books I adore, suc as The Secret History , The Virgin Suicides and yes, The Lovely Bones. It’s the voice that I’m looking for, the voice of the characters rather than the authors”. 3.Did you write The Story of Before A to Z or did you mix up the alphabet as you went along? 4. Where do you do your writing work? 5. What advice would you give to aspiring authors? 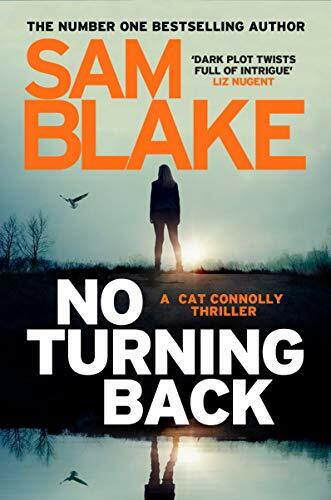 “I think, finish it, put the full stop there don’t be wondering ’Oh, is it any good, will I send out chapters now?’ Just finish it, because nothing is going to happen to it unless it is finished. So you just have to persevere, I know it’s not easy but do what’s best for you, write whether it takes a year or five years, don’t be put off if what you’re doing is not the way someone else says to do it. Just get it finished, and then you look at the bigger picture, where are you going go from here”. 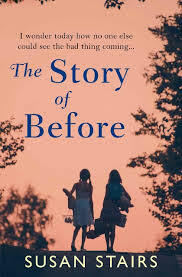 The Story of Before is available in all good bookshops and online here.